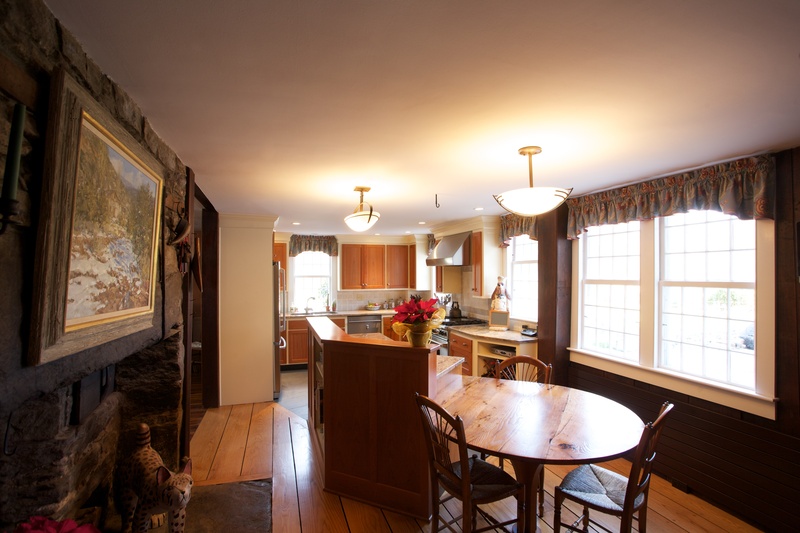 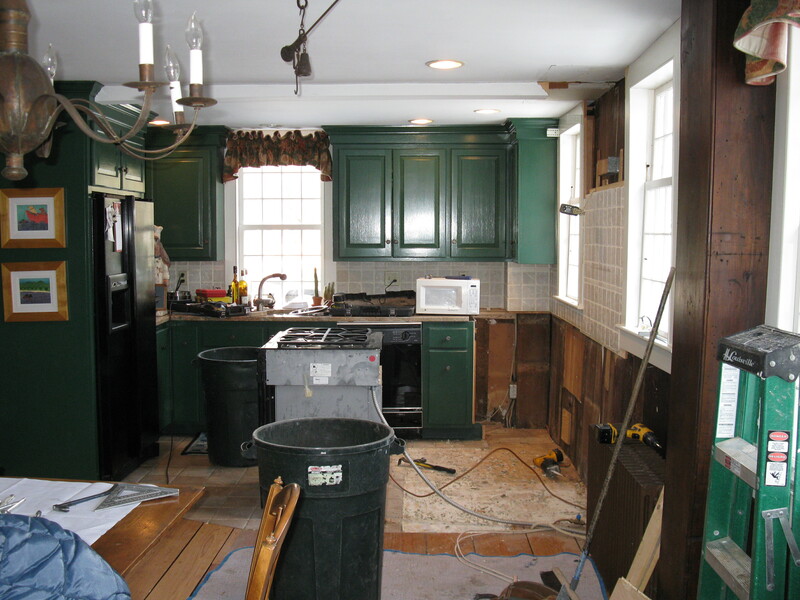 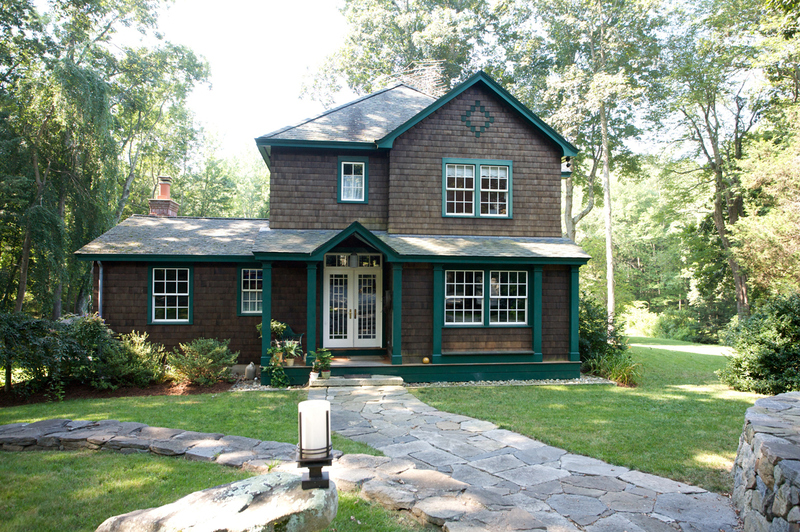 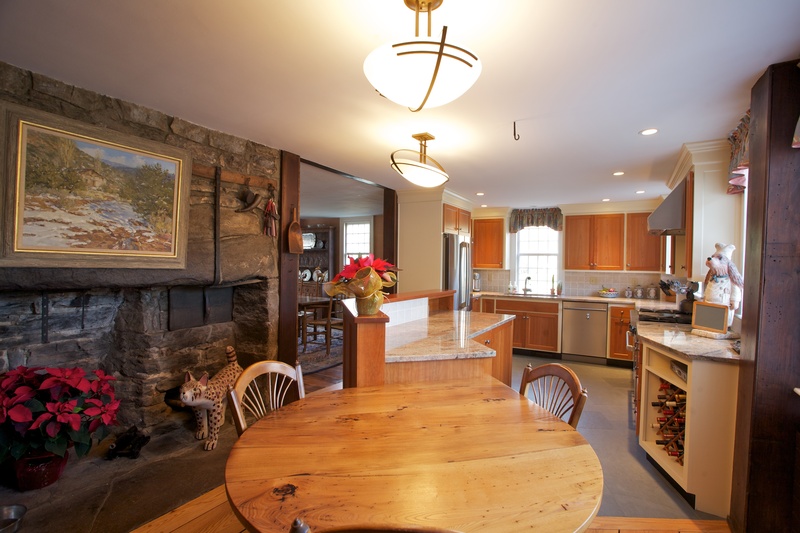 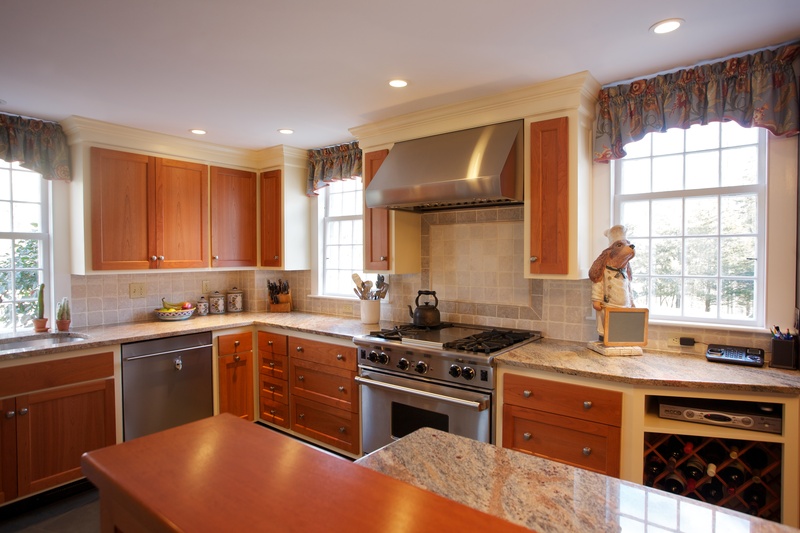 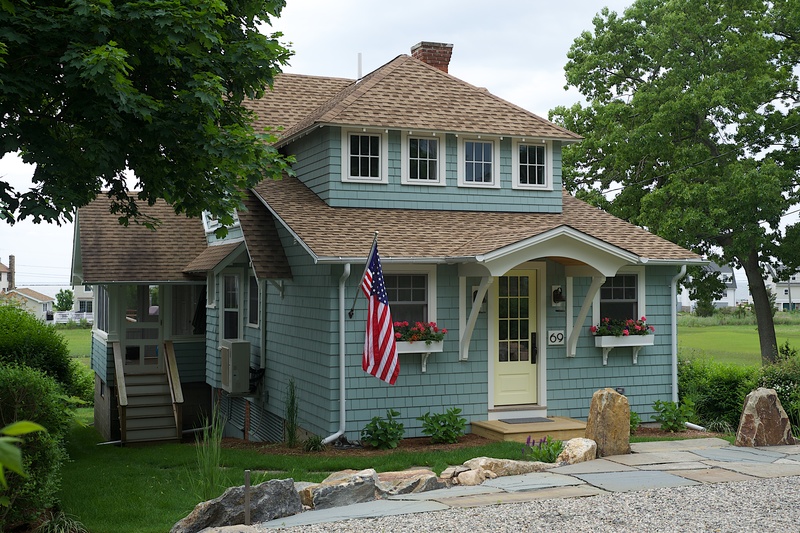 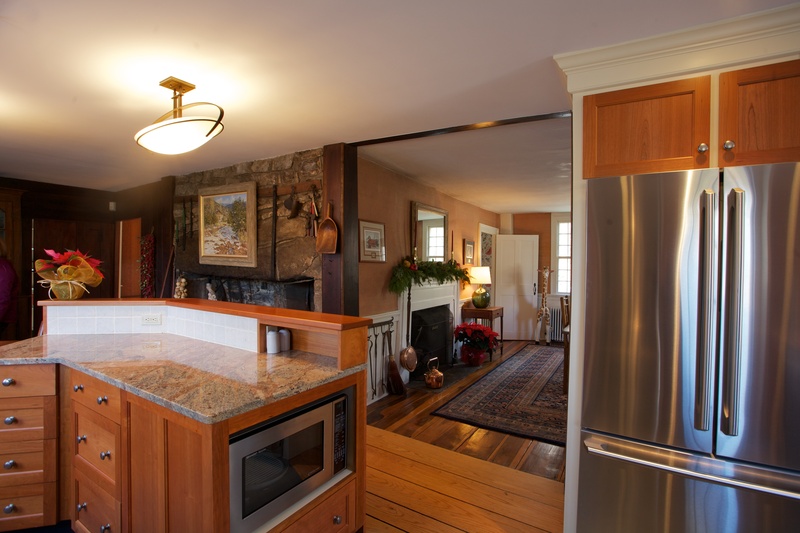 The kitchen in this 1740’s house was dramatically transformed with just minor changes. 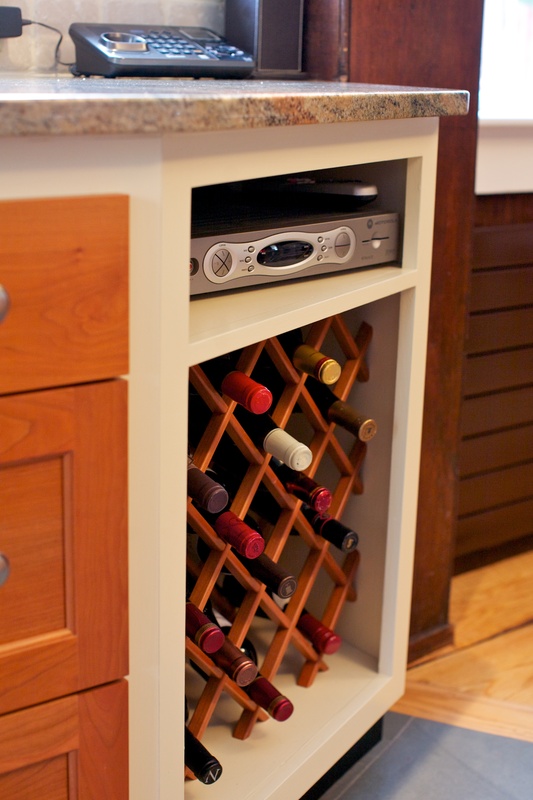 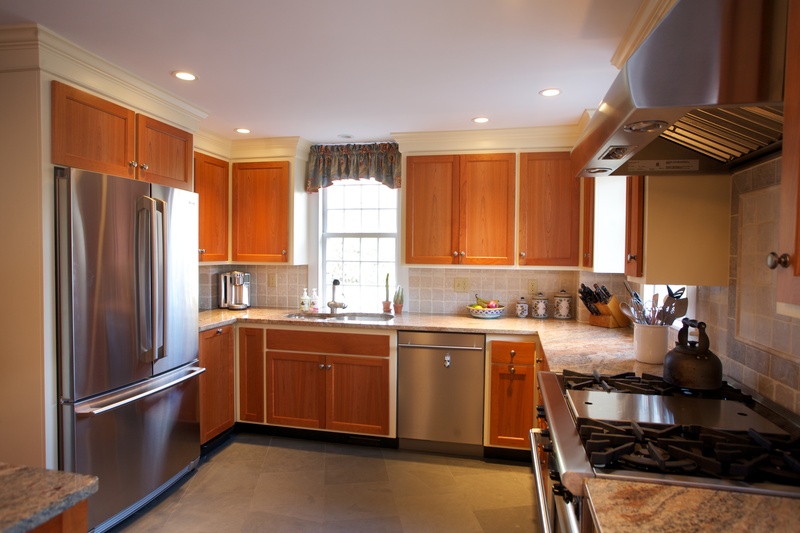 Most of the existing cabinets were kept intact – just painted a fresh color – and new cherry doors were added. 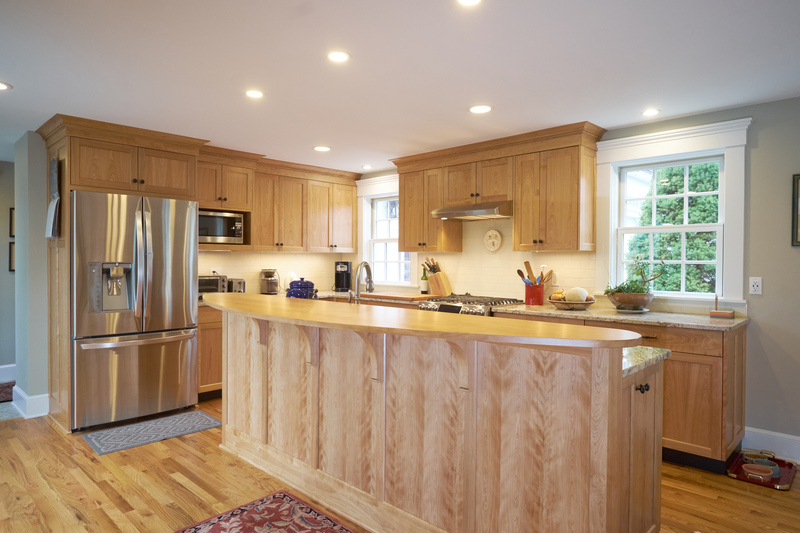 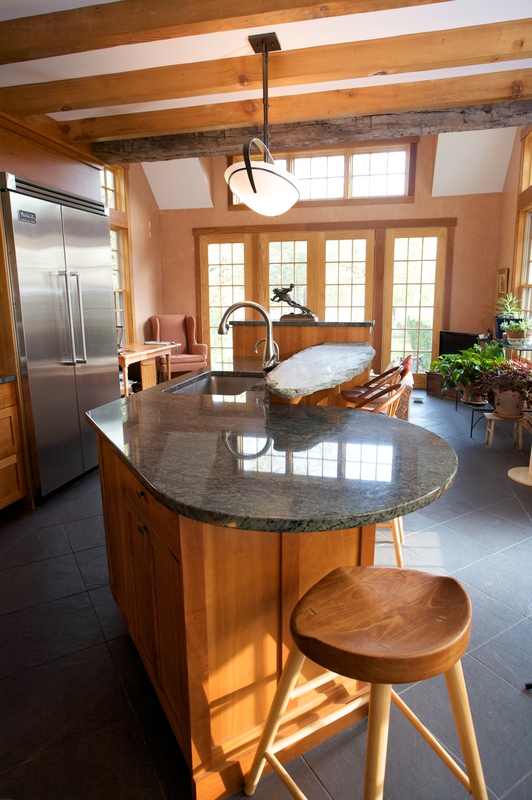 Additional cabinets lengthened the kitchen and a center island replaced an awkward peninsula. 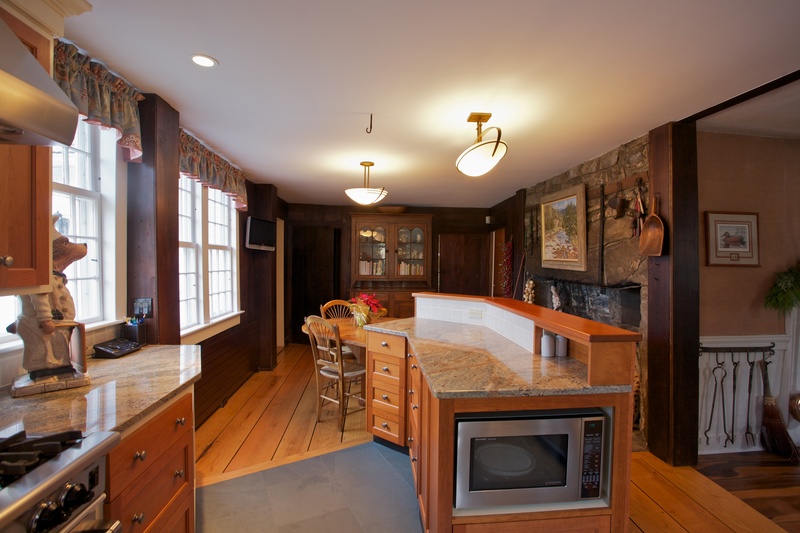 The island is anchored at one end with a chestnut table made from antique boards found in the walls, discovered when a wider opening was created between the kitchen and the dining room.